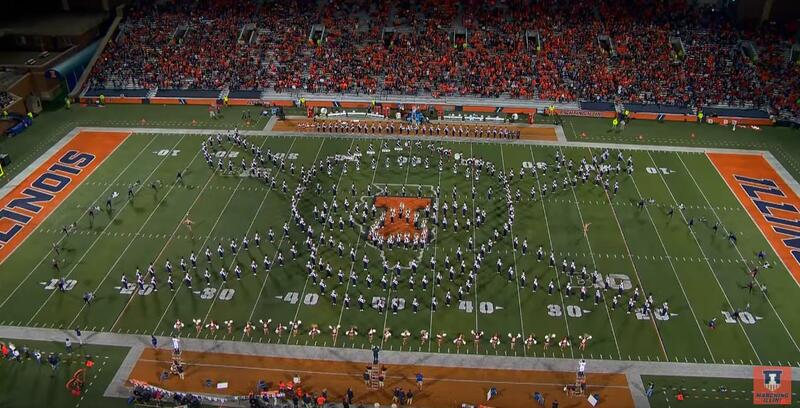 The Marching Illini took to the high seas this past weekend to perform the music of Pirates of the Caribbean. The show is filled with some great picture formations including a giant pirate ship that sails across the field under waves and then the formations cap off in an epic pirate ship battle with cannons and smoke. This is a must see. After they conclude their pirate show they performed the fan favorite drill Three-In-One. The band marches our the letters ILLINI across the field after an intricate drill. It's awesome. Enjoy this great halftime show!